I'm a huge fan of fashionable clothing shops. I love shopping for my kids, but sometimes it's nice to shop for ME. 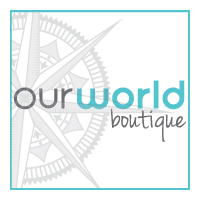 I just recently had a chance to work with Our World Boutique and I got some nice new items! 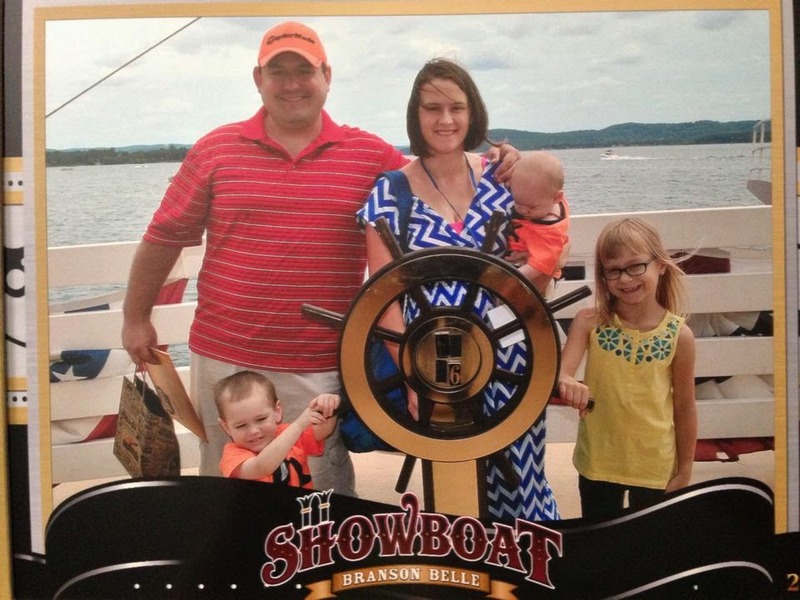 Not the best picture, but I recently wore this dress on our Branson trip! The dress is super soft and flowy. It's not clingy at all so I really like that. The material is just great and comfortable. I chose this dress since I'm still nursing Liam and it's perfect for that. I like that I CAN wear dresses while nursing as this dress makes it easy. The dress washes and dries great, it dries almost instantly and for that reason I hang dry. I have had no shrinkage issues at all with it. The necklace is huge and beautiful. Although it is plastic, it's still really nice and makes a nice big statement. And it looks great with this dress. I love Our World Boutiques deals. All of their items are cheap! They also have handbags, scarves, belts, hats and more! Price: The dress is $30 and the necklace/earrings are just $15! OPEN KNIT POLKA DOT SWEATER AQUA is super cute. I like the Favorite Short Sleeve Dolman Top in Magenta. Thank you! There is so many gorgeous items to choose from. I like the BASIC V-NECK TEE LONG SLEEVES NAVY, the CAMI - SOLID/GOLD BLACK,the Leather Accent Cardigan and an Knit Beanie Hat for Winter! I love the Chevron Dress in Black. Id love a pair of POlka Dot Denim Skinnies and some new leggings for fall! I like the CROCHET PONCHO TOP BLACK. I really love the so soft southwest snowflake leggings! I like the anchors away necklace and the american flag necklace. I like the Floral Button Up Blouse in Pink. Thanks for the chance to win! I really like those Yoga Wave charcoal shorts. They have great prices. I adore the Black Chevron Dress! I love the audrey dress!! Any of the chevron dresses and blouses! Love all of them and the color choices! I could definitely use some new clothes! I like the Handbag - Tote in Black and the Wish Upon a Star Pocket Watch Pendant. I like the FAVORITE SHORT SLEEVE DOLMAN TOP CHARCOAL and the OPEN FRONT DRAPE CARDIGAN. I love the bomber pea coat. Prices are more affordable then I thought they'd be! I would buy the Crochet Poncho Top Yellow. I think I'd get the Belted Trench Coat. I need a good coat for winter! I would pick the CATALINA CUT OUT DRESS MUSTARD! It's so cute. It would look great with some brown leather boots and some boho style jewelery. I might choose the Studded Shopper Handbag. I would pick the Katrina Chevron Maxi Dress in Fuchsia! I would choose the Bomber Pea Coat in Olive Green and the Cowl Neck Sweater in Charcoal! Such cute clothes at great prices! I like the Bali Maxi Skirt Tribal. I would choose 4 Wish Upon A Star Pocket Watch Pendants for my sisters and my mother-in-law who would love them.